If you’re looking for a local expert to service or repair your vehicle, then you’ve come to the right place. 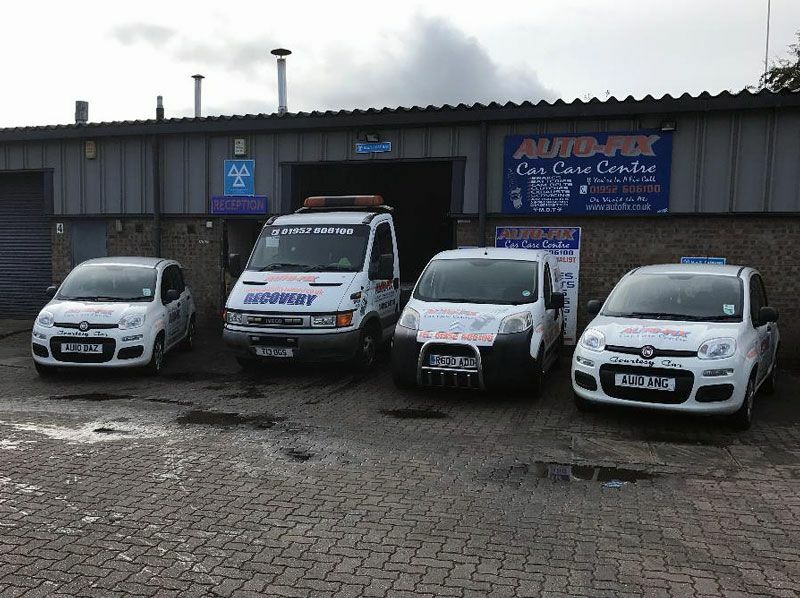 Here at Auto-Fix Car Care Centre in Telford, we have over 15-years’ quality experience in servicing and repairing a wide range of vehicles. All our MOTS come with a free test within 14-days and unlike many other vehicle repair garages, we can collect your car from you and offer a replacement courtesy car so you don’t have to change your plans. Our aim to is make motoring easy and hassle free. Can't go a day without your car? Auto-Fix Telford offers a 998cc Fiat Panda as a courtesy car while your car is being serviced. Does your vehicle need urgent repair work but you're stuck without it? Not sure on what to do? Enquire with us and we will help you out.